Valerie Amos, who is also the UN Under-Secretary-General for Humanitarian Affairs, delivered that warning and reiterated her appeal for action in a briefing to the Security Council on the situation of the millions of Syrians in desperate need of aid and protection, and on progress in implementing resolutions 2139 and 2165 on humanitarian access in Syria. “In addition attacks on medical facilities are at their highest levels since December 2012,” said Ms. Amos via videoconference, adding that the targeting of vital services like the main Aleppo water pumping station has interrupted the supply of clean water and electricity. “Almost one million people remain without safe drinking water, in temperatures as high as 50 degrees Celsius,” she said in a statement issued by her office after the briefing. 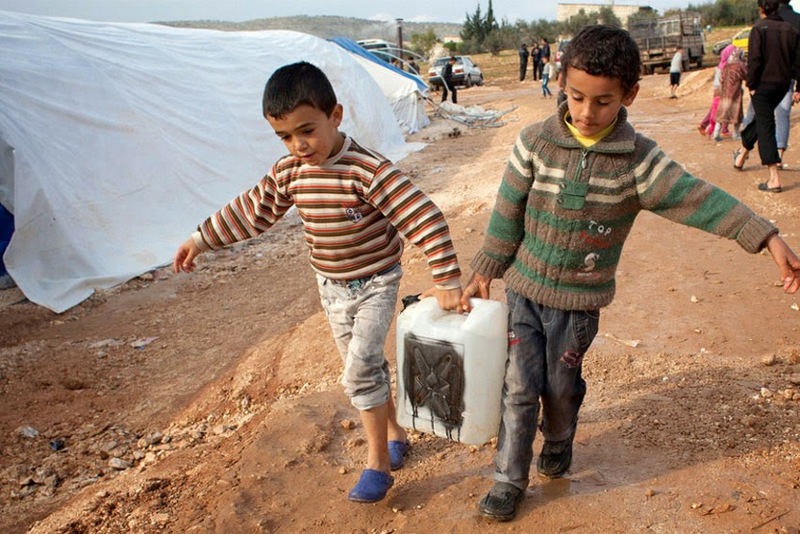 Deliveries to people in hard-to-reach areas have further dropped this month, largely due to the centralization of Government approvals of deliveries to those areas, she said, while arbitrary restrictions by some opposition groups are also obstructing humanitarian access, especially in the eastern governorates of Syria. “After more than 20 requests, the United Nations reached the besieged town of Madamyiet El Sham – also known as Moadamiyeh ¬– in Rural Damascus earlier this month, and delivered food and medical care. The 24,000 people living there had not had assistance since the end of 2012,” said Ms. Amos, adding that this month the UN World Food Programme (WFP) dispatched food to 3 million people, and medicines were delivered to 2.1 million people. “Despite deliveries to Madamyiet and Yarmouk, approximately 241,000 people are still living under siege conditions,” she explained. She said that resolution 2165, unanimously adopted by Council members on 14 July, authorized the UN and its partners to use routes across four additional border crossings with Turkey, Jordan and Iraq. The resolution also authorized the establishment of a monitoring mechanism to confirm the humanitarian nature of supplies brought through those crossings points. “I confirmed to the Security Council that the monitoring mechanism has been established and that on 24 July, the first UN convoy crossed into Syria from Turkey through the Bab al-Salam border crossing,” said Ms. Amos. Specifically, food, shelter materials, household items and water and sanitation supplies for approximately 26,000 people in Aleppo and Idleb Governorates was transported. The Syrian authorities were notified. “In the next few days I hope to confirm the dispatch of other planned convoys through the other designated crossing points. However, given the volatile situation near the Iraqi border, we will review when we can start using the Al Yarubiyah crossing point,” said Ms. Amos. She went on to underscore that there are significant challenges to operating across those four border points, including ongoing fighting, existence of a multitude of armed groups, and terrorist groups, which have stated their objections to international aid and aid workers.